Does anyone know an angry, homophobic, science denying christian that uses god as a prop? One of the things atheists use is that Christianity is a crutch, something we need for filling a gap. A comfort blanket, a teddybear, a prop for our bigotry. Plus we are increasingly painted as homophobic, science denying, fundamentalists that judge the world on harsh terms. This is so far from the truth I feel I have been asked to meet in him, from the people I meet who have the same challenge set to them. The challenges to these perspectives if anyone holds them, comes from having to react to the level jesus expects you to reach? How can you hold these views if you follow jesus? Their are some facts that support the idea that christianity on the whole when applied on Jesus model is good for us all. All driven by devout Christians tackling the world on the terms jesus sets us. The point IS , Christ calls for reform, on an internal and external level. In contrast to the Christian system, modern materialistic philosophies do not provide a strong basis for reform. Humanism is, in effect, a philosophic smuggler; it has borrowed the “dignity of man” from Christian precepts and has not bothered to say, “Thank you.” It also lacks a coherent example beyond what we “make up” ad-hoc, borrow, and meld together, and ignore the bits that take us out of our comfort zone. Also christ is alive and he helps, challenges and drives us forward. Lastly if you hate the anger , hypocrisy, judgement, and bile that comes from some people who call themselves “religious” then christ did too. the constant misuse of state of religion to mobilize and create division, and hierarchy based on external wealth. Jesus despised it. They killed him to keep their positions, and to keep him quiet. They really DID not like him making an ad-hoc whip and beating them with it as they were using his fathers house as a bureau de change. He knew this was the exact antithesis of his message. Profit and Loss on worldly terms is the precise opposite of the measure he thought you should use. He wanted you to pick up your cross and follow his example into places you never would have seen yourself before you gave your life to him. That is the reality of following Jesus that I know. God sometimes lets us see how perfect his plans are, and they sometimes even include is foreknowledge that we will not listen. Here is my story showing exactly that.. When I first became a christian, I had the strongest desire and was called to wear a cross (I am sure as many of you were) . I was very certain I was supposed to go to a certain jewelers in town, and get my cross to wear from there, however they weren,t very efficient, and the sizes of the crosses they had for sale were VERY large. I found a smaller one, for a lesser price and bought that. However it nagged at me that I was supposed to buy my cross from that shop. 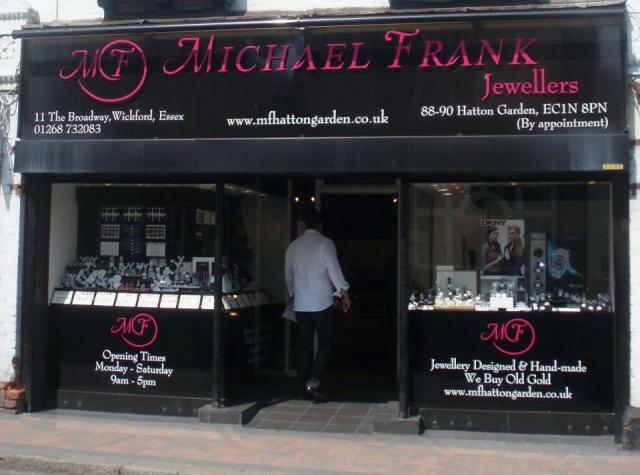 Then one day I realized the NAME of the shop was MICHAEL FRANK. My First and second names are MICHAEL FRANK. That really made me feel bad, and I knew I had ignored something our lord was asking me to do. However I now had a cross, and the ones in that shop were and ARE too LARGE. I never went back, but whenever I pass that shop its still bothers me. Also I was brought to Christianity by a bible from the Gideons, and from day one I wanted to give them something back. However as much as I try to help the timings rarely work and I never find a place where I can help out, hand out his word. The only day so far was the day after my confirmation, perfect timing. But the friend I made in trying to help remains so to this day. I never really found a way to help as much as I would like, to share the same thing that brought me to him, his word. Cut to a year later, and one day I spot a homeless man. I feel compelled to help. I do give him some money, but feel really worried about him. I pray for him and for others like him, post my prayer on Facebook and end up helping out in a local homeless kitchen. I pray that me and my wife find more interests in common, and as soon as I say I am going to the homeless kitchen she jumps up and says “I am coming too”. We both LOVE going to help. About the same time I by accident (mine not his) end up signing up for an evangelist course. The course starts the same weekend I start at the homeless shelter. The timing is perfect, I can go to one, go home for lunch, pick up Paula and we drive to the kitchen. Almost as soon as I start helping, people talk to me about god, and I have the STRONGEST feeling I am supposed to bring god to that Car Park in Southend where so many wounded souls exist and need his love and peace. I cant find a way to do this that seems appropriate. Sit at a table, deliver a Eucharist, but the evangelist course is giving me more idea’s and the confidence to reach out, but not a reliable method…. One of the chaps I meet who is homeless I find so inspiring and he cures ME of one pf my greatest fears – poverty, as I see that with gods help you can always find a way. My role seems to be the one who floats around, hands out fruit, dog food (they go hungry too sometimes), I listen and use his lessons on how to react. The changes he has made in me as a christian, means this new person has an open heart, and ear and loves to react with love. I seen the human behind the rough clothes and they like to talk, the people I meet I find so inspiring. 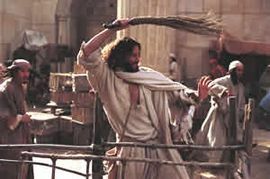 I talk to a street pastor who comes about how I can bring Jesus to that car park. He says overt religious ceremonies are banned from that space. I ponder for 2-3 weeks. How do I bring jesus to this place. Also the friend I made through the Gideons, hands me bibles to hand out at the car park, I have handed out two, who I thought would be helped by his word, i have more in the car. He also shows me a local church that will take themin for a eucharist despite the scruffy state some might be in? But the problem remains how do I make a statement without breaking the no overt religious ceremonies rule in that environment? Then THIS week a lady comes and she is very clearly having lots of christian conversations with people who are attracted to her by one thing…. She wears a VERY large cross, about the same size as the one I rejected. Open around her neck. I know at that instant I dont SIT at a table with a cross, I WEAR a cross and just walk around hand out fruit, start conversations as I have done since I started. Also I have been trying to figure out how to start a christian conversation with the people who seem so lost and angry with him? But overt Christian service is banned? Well I the answer is THAT cross from Michael Frank, I will be the table, I will show who I am, and anyone who wants to talk will know by that cross. In two weeks I finish the evangelism course, and in two weeks the Cross will arrive at Michael Franks Jewellers. See he even knew I wouldnt listen, but the cross wasnt needed until I had been trained in how to reach out, its made me more aware that gentle steps are needed, so I am better placed to do his work. I call those every day miracles, but he has had a plan for me forever. Look back at this story it spans over 18 months. It shows all the things he had to place in my way. All the things that had to happen, the homeless man I met, the rejection of his order which showed me humility, the course I took by accident, the method, the cross I never bought that bothered me so much.The stock of bibles, And so on and so forth, all independent things that bring you to where he knows your headed. He knew How I as going to bring god to a car park in southend, before I knew I was going?